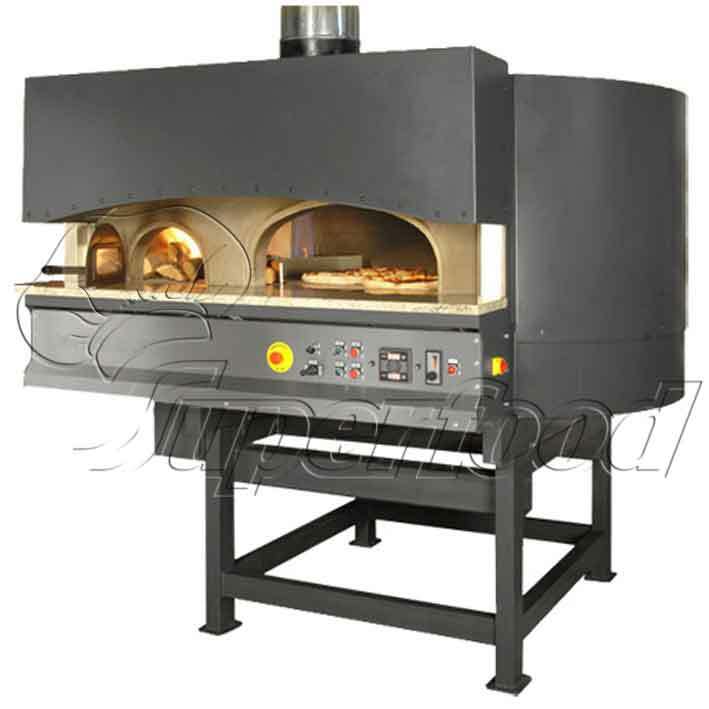 Rotary stone hearth pizza oven with combinated heating system of wood and gas, it’s available in 3 sizes. The bedplate gas heating burner is digitally assisted as flame and temperature controls. The bedplate rotation is applied through an inverter equipped with a full programmable baking system. The bedplate rotation and the combinated heating system of wood and gas ensure the best and homogeneous baking performance with big amount of production thanks to the oven thermal stability. The separate fireside door and two ash drawers allows to this oven the healthfulest pizza backing, saving at the same time 50% of wood compared to a similar traditional wood oven. Natural Gas or LPG. Thermal insulation is made of mineral fibre with high insulating properties. 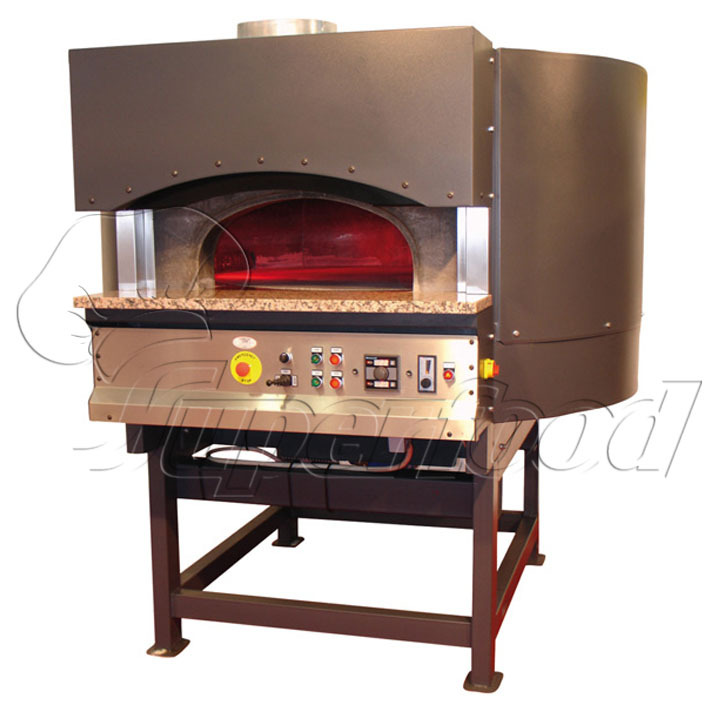 Rotary stone hearth pizza oven with combinated heating system of wood and gas, it’s available in 3 sizes. The bedplate gas heating burner is digitally assisted as flame and temperature controls. The bedplate rotation is applied through an inverter equipped with a full programmable baking system. The bedplate rotation and the combinated heating system of wood and gas ensure the best and homogeneous baking performance with big amount of production thanks to the oven thermal stability. The separate fireside door and two ash drawers allows to this oven the healthfulest pizza backing, saving at the same time 50% of wood compared to a similar traditional wood oven.